The 23rd annual Southern California Spring Garden Show was held at South Coast Plaza in Costa Mesa last weekend … and what a show it was! Encompassing seminars and a speaker series on topics as varied as beekeeping, healing gardens and the garden as art gallery, there were also children’s events, arts and crafts, a bird show and carnivorous plant feedings. 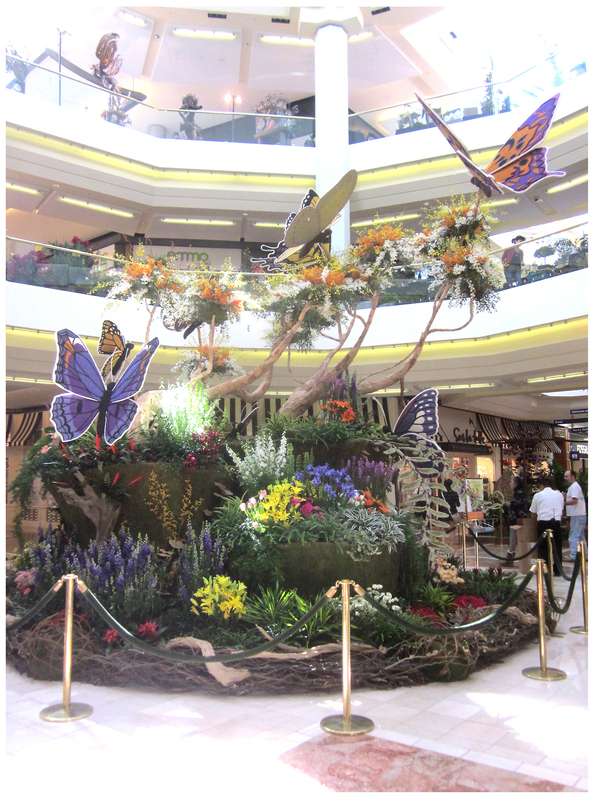 There were outdoor room setups, including a judged competition; one display garden was created specifically for the visually impaired. And, of course, there was lots to buy … I’d never been to a garden show held in a major and very popular shopping center before; fearing that the show would become crowded and picture-taking compromised, we arrived early, which proved to be a good decision. Once the show opened, it was near to impossible to shoot anything — too crowded! Needless to say, the show was a success and everyone seemed to be having a great time … So, here’s a quick walking tour, with less than the usual descriptive captioning … after sifting through 300+ images I’m going to allow them to speak for themselves … enjoy! 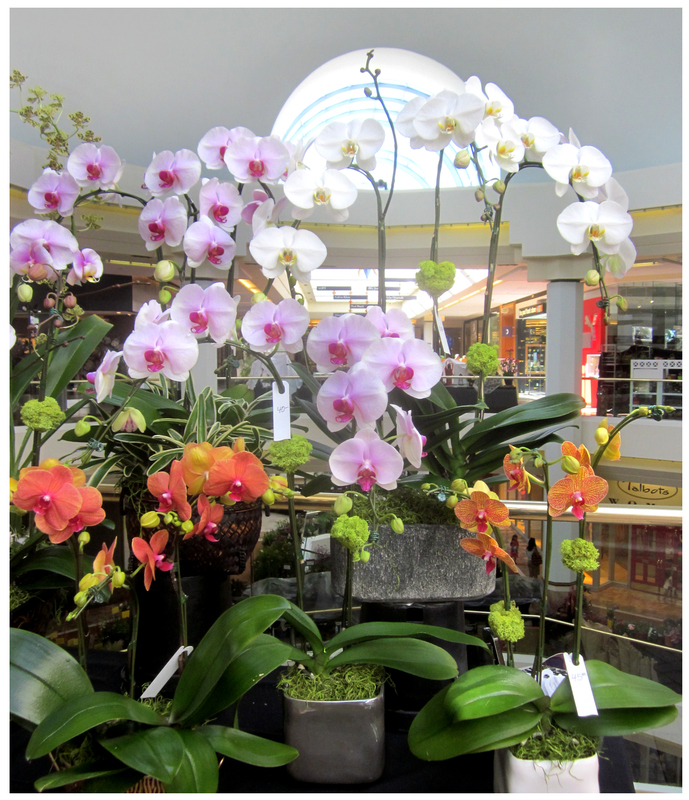 Orchids and anthuriums in hues I’d never seen before … could all of these be natural? 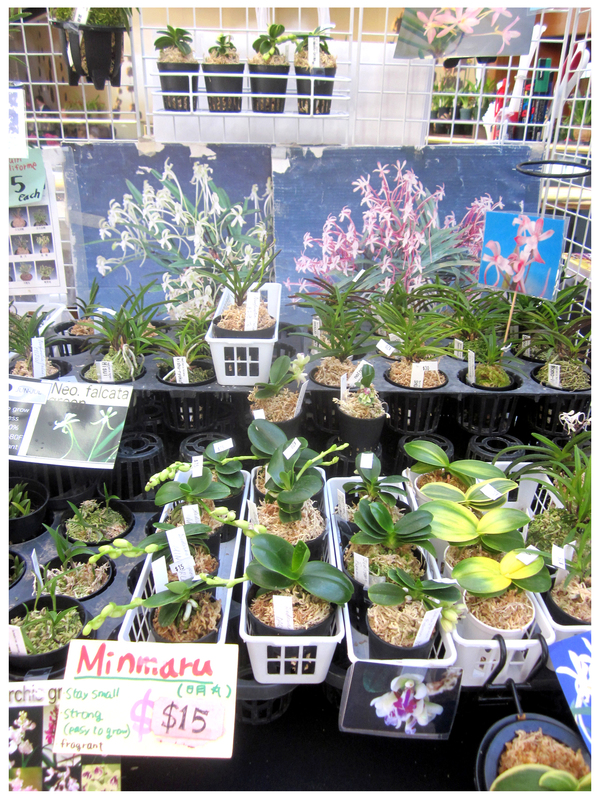 Some orchid propagators offered truly rare varieties; many not often found in the US. Bromeliads told some amazing and outlandish color stories. Bonsai trees (and one succulent) stood tall and dignified — at least visually. The stunningly pretty foliage of small maples in reds and greens. 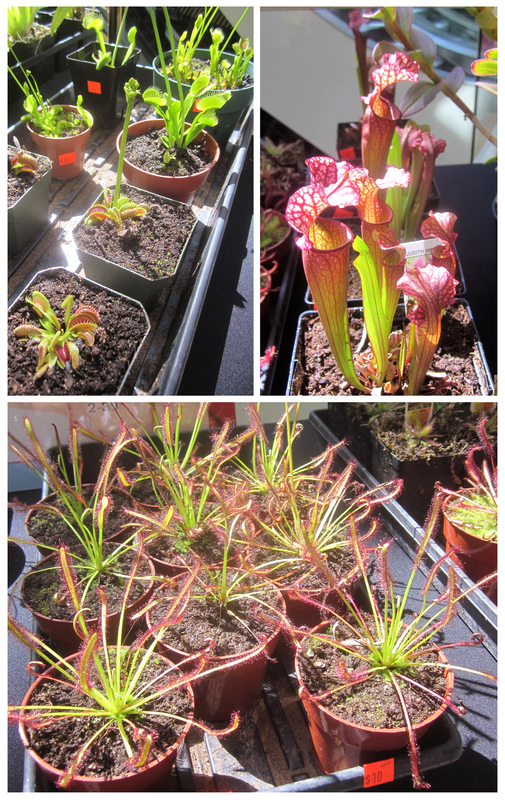 Carnivorous plants reached out for victims in a variety of voracious forms and attractive colors. Tillandsias and stag horn ferns made like wallflowers, hanging out. Succulent society specimens are intensely, oddly, gorgeous. 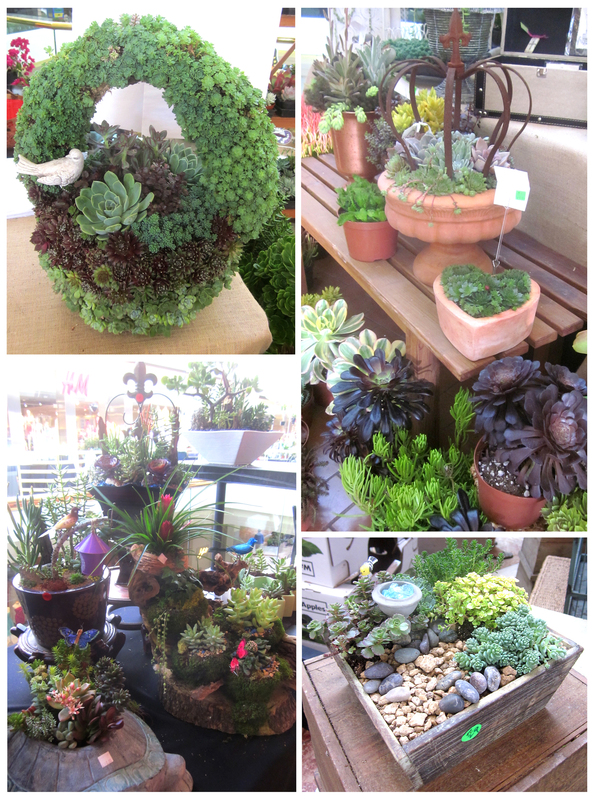 Succulents, many of them tiny, feature prominently in an assortment of decorative objects. On the left, a not-for-sale amorphophallus paeoniifolios, also known as Elephant Foot Yam, Whitespot Giant Arum, or, Stink Lily, is a tuber eaten in several Southeast Asian countries. 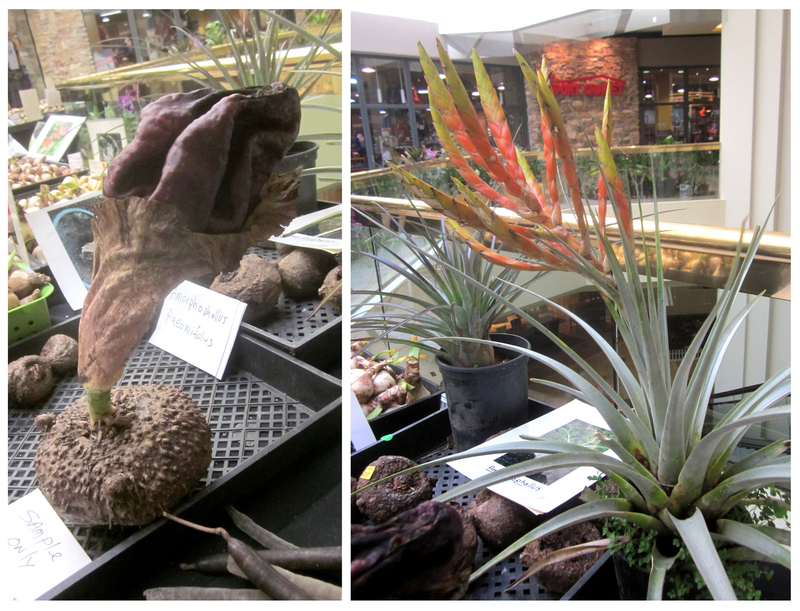 Click here for more pictures of this odiferous cousin of the Huntington Library’s Mr. Stinky … Sadly, I never got a chance to ask the vendor the name of the plant on the right; it’s beyond-gorgeous and I love its reptilian flower stalk. Desert to Jungle Nursery had both on display. Display gardens — themed outdoor rooms — brought beauty and inspiration utilizing diverse materials. Amazing sculptural focal points by Daniel Oropeza require an equally amazing garden setting. Decor for the garden, including planters, were in abundance … everything for the Asian-goth-rustic-industrial garden. I can’t wait for the 24th annual So-Cal Garden show … by the time it comes around again I’ll be in the market for some of the plants, objects and events I missed this time around! Thanks for the pics. This show seems aimed mostly at the indoor tropical market. Thanks for the great photos! I, too, went for the first time, and with a game plan, which was a good thing because it became intense by ten AM the first morning! I made it to the displays I had mapped out plus a few more… And your photos have filled in the gaps. Thanks! You’re welcome, Laura, ‘intense’ is exactly what the show was like once it took off … thanks for commenting! Ha! You saw that, too … I actually felt total nostagia: that garden no longer exists, almost at all! Looking forward to seeing what you’ve done with the place! Looks beautiful. I can imagine the gorgeous floral scent flowing down the mall hallways! Might try to head down for next years event. Thanks for posting such lovely pics.